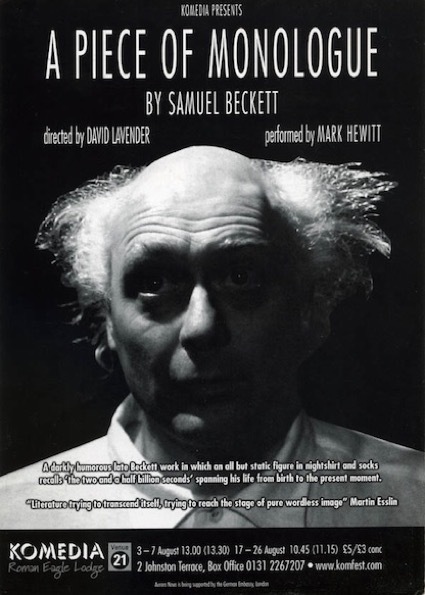 Catastrophe was a production of four Samuel Beckett dramaticules (mainly from the 1980s) - Rockaby, Ohio Impromptu, A Piece of Monologue and Catastrophe - directed by David Lavender for Komedia Productions. 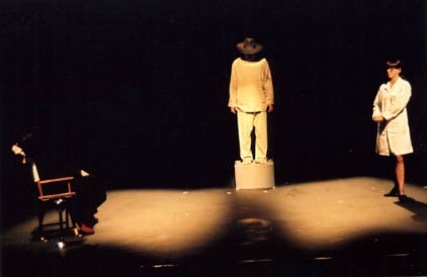 The show ran for 10 days at Komedia, Brighton, and a further three weeks during the Edinburgh Fringe 2001. Mark Hewitt performed in three of the four pieces alongside actors George Dillon and Denise Evans.